The town hall was a Construction Management at Risk project. 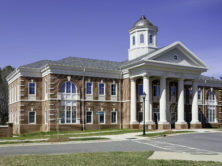 The 4.8-million dollar town hall serves as a centerpiece for a mixed-use development in Mint Hill. 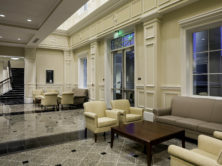 The 20,000-square-foot town hall is a two-story building housing a council chamber and staff offices. 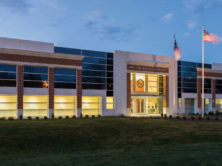 The new police station consisted of a 7,000-square foot interior and exterior renovation of the old Mint Hill Town Hall, transforming it into the new Mint Hill Police Station. 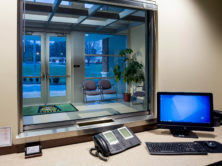 The renovation included refurbished offices, a conference room, an interrogation room, and evidence storage areas.